You have heard the name everywhere but what does CBD mean? It seems like it’s the latest craze in homeopathic medicine, being sold from Gas Stations & Pharmacies to websites from around the world. But what do those 3 simple letters actually mean? Over the next couple of minutes, we are going to take a quick look at 3 letters that are changing the world, their history and exactly what all the fuss is about. Those 3 letters are the most common abbreviation for C21H30O2 or Cannabidiol, a chemical compound that is currently being put to good use in helping humans with ailments from simple stress to seizures caused by epilepsy. Derived from the Cannabis Sativa L plant, a lot of people can’t grasp the difference between industrial Hemp Products and Marijuana. They hear “Canna..” anything and are automatically on guard. We can’t blame them, they have spent the last three-quarters of a century being told to fear “Refer Madness”. Every day that goes by though, more and more people are realizing the benefits of this almost miraculous compound. Those 3 little letters are a lot less scary than facing the idea of a lifetime of being lied to. The question of “what does CBD mean” is multifaceted. What does it actually mean, what does it mean for health benefits, what does it mean for the future of modern medicine- the list is endless but we are going to give it a simple break down. Even though the Cannabis family of plants has been around longer than mankind, and has been used in one form or another by our species for over 3 millennia, the chemical compound of Cannabidiol wasn’t officially documented until 1940. Originally found in Central Asia and the Indian subcontinent, the long stems of the Cannabis plants were used for rope making and weaving brought to the United States by the very first European settlers- the sails of the Mayflower were more than likely made from Hemp (another name for Cannabis Sativa L). Unlike other members of the family, Hemp plants are low in THC (tetrahydrocannabinol) and are not psychoactive and were at one point the most common crop in America. Unfortunately for Hemp, when the Government decided that folks getting high from the THC rich Cannabis plants was no longer going to be tolerated, Hemp was pretty much banned just for its looks. After over half a century of stupidity, 2003 saw the first patent of a CBD product as a neuroprotector. Thanks in large part to the 2018 Farm Bill and Senator Mitch McConnell, industrial hemp products are once again Federally legal. All this fuss over a plant that has been an integral part of human history. Uses as a Neuroprotector & so Much More! Although still only recognized by the FDA as a treatment to reduce the number of seizures experienced by people with epilepsy, the health benefits being discovered by users of commercially available CBD products, both Full Spectrum & Isolates is insane. Learn more about the current uses here. This list is growing every day as more researchers are bringing their findings out of the shadows. You know people who are using CBD right now and probably don’t even realize it. They aren’t walking around high or exhibiting any outward signs, except maybe in slightly better health than they were before. The number of folks who are turning to homeopathy, in this case, is unreal. 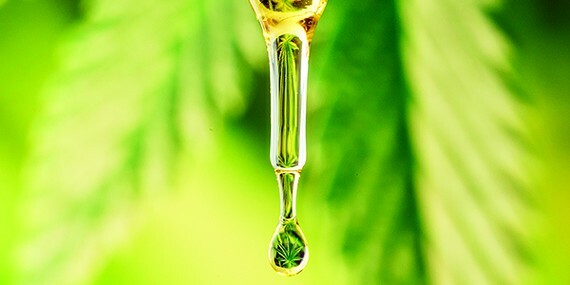 The US market for Hemp based CBD products has skyrocketed over just the last few months. If you suffer from high-stress levels or anxiety, CBD can work with your body to help balance you from the inside. Your body is built with an internal system designed to work with the Cannabinoid compounds. Unlike most of the pills your family Doctor Prescribes you every month, your body has a system that works with the compounds found in these plants. It may sound crazy but we have already put together a piece on this system and how it works. You came here today asking the question “What Does CBD mean” and we hope we have given you a few answers, but we also hope we have left you asking more questions than you came with. The concept of Cannabidiol as a health benefit is not new, but to most folks, it feels like this is a wonder drug that was just released on the market.